CLEVELAND- (CT&P) – Herbert Schicklegruber, Trump delegate from Broward County, Florida, is still stranded in Cleveland weeks after the conclusion of the hatefest known as the GOP convention. 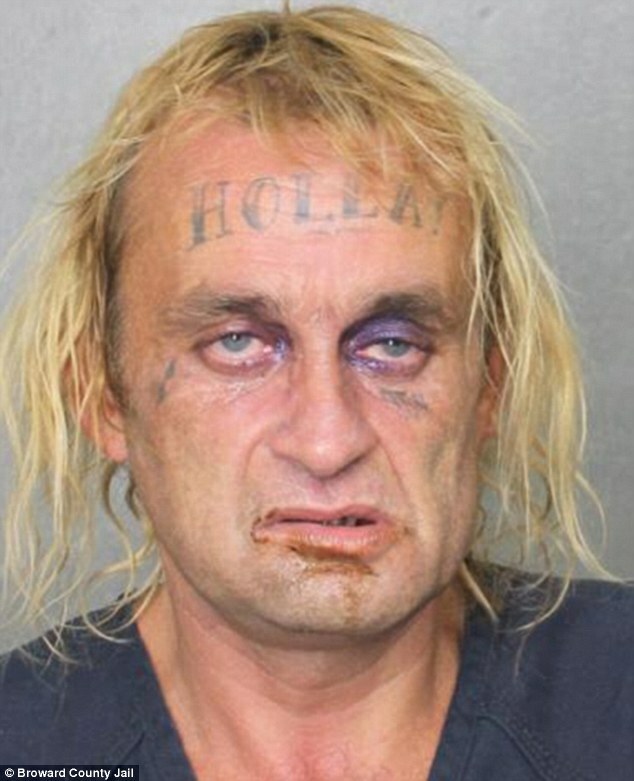 Schicklegruber, a political activist from the outskirts of Tampa, was arrested after a party he threw in his hotel room on the opening night of the election. It seems Schicklegruber and three prostitutes of various sexes went on an all night drug fueled sexual rampage, destroying his room in the process. The police were called after foul-smelling brown water was discovered dripping from the ceiling in the room immediately below. Schicklegruber told the cops that things got a little out of hand after he got excited during Rudy Guiliani’s speech. Things apparently went downhill from there because after the speakers were finished the delegate went into a back alley and procured around $400.00 worth of methamphetamine and the aforementioned hookers. Schicklegruber told police that he regretted his actions because he was only able to enjoy one night of the convention and he was really looking forward seeing General Flynn foam at the mouth. Because of his financial situation and extensive record in Broward County, Schicklegruber has so far been unable to post bail and return home. His girlfriend of three weeks, Lou Anne Smegma, has made repeated entreaties to her neighbors in the Kooky Moon Trailer Park where the couple currently live. “I’ve raised enough to cover my alcohol and cigarette expenses and I’ve put back over $25.00 bucks for Herbert,” said Smegma. “A friend of mine is gonna start a GoFundMe page next week so I hope we can get Herbert out before the election.